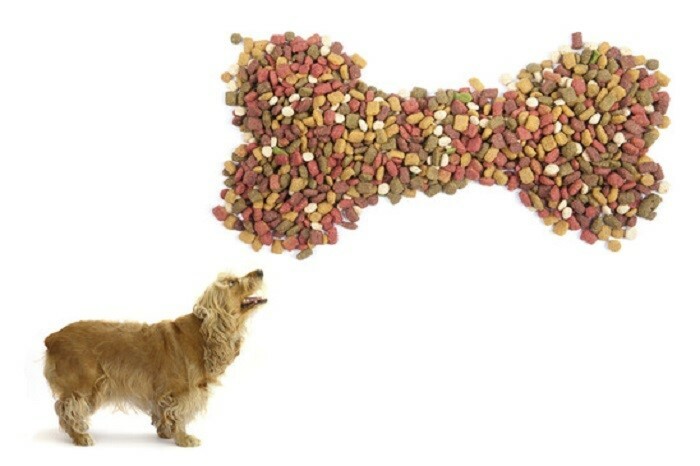 What’s the best dog food for your dog? Well, the simplest, most convenient way of guaranteeing a nutritionally balanced diet for your dog is to feed them a good quality dry kibble from a reputable manufacturer. Of course, if you have a good knowledge of canine nutrition (or you’re prepared to hire a canine nutritionalist) and you have the time to cook daily meals for your dog, that’s great too! But I’m guessing that doesn’t apply to most pet owners. Most vets will recommend that you feed a good quality dry kibble rather than the moist (canned) or semi-dry (sachet) varieties. This is because the moist and semi-dry foods are typically high in fat, sugar and salt with a high water percentage (up to 80% in canned food). Good quality dry foods have only about 10% percent water and don’t have the high sugar and sodium levels of moist foods. But not all dry foods are the same. Many cheap brands are grain based, and use poor quality ingredients with low-grade proteins and poor digestibility.The food passes straight through your dog’s system without supplying the required nutrients. With Premium and Super Premium brands your dog gets better nutritional values from a smaller quantity of food. They absorb more of the nutrients from the food and pass less waste. Indeed, it may actually turn out that the more expensive food costs you less in the long run. And that’s not even taking into account any vet’s fees. A dog that is poorly nourished is more likely to become ill and to require veterinary treatment, than one who is fed a healthy diet. Poor quality dog foods are also often the culprit behind allergies and skin conditions. You should also bear in mind, that your dog’s nutritional requirements will change during their lifetime (and hence so will the best dog food for your dog), so choose the right variant whether puppy, adult, or senior. Most quality commercial dog food brands also offer a choice between large and small breed formula. And some of the premium and super premium brands even offer breed specific dog foods. There are also foods formulated for a number of special conditions, from obesity to skin conditions to sensitive tummies. Of course all dogs are different and there are also other factors to consider, such as your dog’s activity level. Working dogs, as well as whelping or lactating females, have greater energy needs and will need foods with more calories. If all of this seems a little overwhelming, speak to your vet about your dog’s specific nutritional needs. As a rule of thumb, though, always choose the best dog food you can afford for your dog. That’s more like it. The more expensive a product is, the higher its quality. That goes the same for commercial dog food. I’ve been feeding my dogs homemade dog food with the right knowledge of what’s best and what’s dangerous for them. It is important to know which is the best for your dog.